Opel is one of the most rooted tradition car manufacturers in the world. Next year, the brand will celebrate 120 years of cars. In 1899, Sophie Opel, who listened to Carl, Friedrich and Friedrich's proposal, decided to manufacture the car four years after the company's founder and his wife, Adam Opel, lost his life. The journey started with the production of 65 Opel PatentMotorwagen mann System Lutzmann çık in a garage in Rüsselsheim. From the first moment, he tried to produce Opel cars as efficiently as possible and make them more accessible to the most people. For example, Opel was the first German manufacturer to use the economic assembly line system in Germany as early as 1924. This enabled the Opel 4/12 PS talep Laubfrosch Opel and all the following Opel 4 PS models to be in demand. Based in Rüsselsheim, the company produced high-tech cars with the Opel P4 and Kadett from the 1930s onwards. It made German and German engineering available and accessible. Even when manufacturing Opel sporty models, the center of its design has laid out to be accessible to everyone. The model was the Opel GT, the affordable car that could be bought in 1968. The brand has been a pioneer in every class: the production of Opel Kadett, Rekord and Kapitän models became the symbols of the post-World War II era of Germany's rebuilding and economic miracle creation. These models were followed by the iconic Opel GT, Manta and Monza. In the 1980s and 1990s, the models Corsa, Astra and Zafira attracted great interest and became one of the symbols of the unification of West and East Germany. After the demolition of the Berlin Wall and the opening of the factory in Eisanach, Opel increased its popularity even further. The first generation Astra produced 4.2 million units between 1991 and 1998, and was the first to be produced as Opel. To date, the German automaker's goal was to make the technologies available to everyone in the center of the community, and the technologies of expensive premium segment vehicles accessible to everyone. Opel was amongst the 19th century pioneers in the automotive industry, including Daimler, Benz and Peugeot, with the acquisition of Friedrich Lutzmann's motor vehicle factory. In the spring of 1899 Opel's first patented motor vehicle z System Lutzmann Opel was produced in Rüsselsheim. Two years later, a modified Lutzmann managed to win the Heidelberg-Königstuh Lut Mountain Race Lut by surpassing 16 other well-known German automobile manufacturers. Development in the automotive industry was always dizzy. The first car models were inspired by carts. 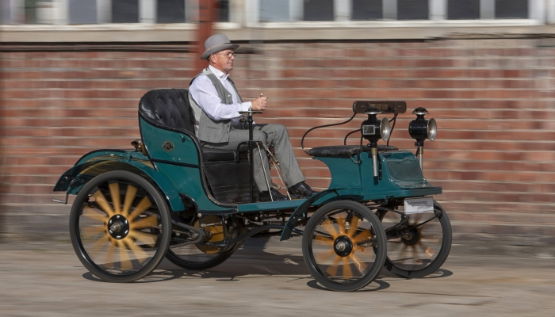 In 1909, Opel launched an ultra-modern small car at a competitive price. 4/8 PS Opel Doktorwagen was powered by a 4-cylinder engine designed and manufactured by Opel. In commercials, Opel was ideal for this car ”Doctors, veterinarians and lawyers Reklam. While the cars of the period were sold with high prices like 20 thousand Mark, the price of Doktorwagen was between 4-5 thousand Mark. This model has turned the motor car from being a prestigious toy for the rich and famous, making it a tool for the masses to reach. In 1924 he founded the assembly line in Friedrich and his brother Wilhelm Opel, who were chief designers. This efficient method of reducing production costs was first introduced in 1913 by Ford in the United States. It seems that Opel has always been following developments in other countries closely. Adam Opel was amazed at his sewing machines in his trips to France, and then System Darracq had added power to the production of cars in Rüsselsheim. Then the Opel brothers developed the inspiring 4/12 PS ub Laubfrosch Ardından. The two-seater could drive 60 km / h and the assembly line could sell 4 thousand 600 Goldmarks. In the forthcoming period, this model started off with the promise of 'automobile for everyone yol and started to be sold to 930 Reichsmark. In the following years, a family of vehicles was created based on Laubfrosch technology. In the 1930s, the Kadett took the flag of the 1920s. Developments in the automotive sector continued at full speed. Kadett replaced the successful Opel P4 and was equipped with a self-supporting steel body, single wheel front suspension, 4-cylinder 4-stroke engine and hydraulic drum brakes. This model is available at a much more affordable price than its competitors. In 1938, the alın normal Mark Opel Kadett was available for 795 marks. The Kadett model was amazed with Kadett A in 1962 and was resuscitated. While most of its competitors were powered by two-stroke or air-cooled rear-end engines, the new model offered the comfort of a water-cooled 4-cylinder unit. This engine was accompanied by a silent 4-speed transmission and a coupé to the caravan. The completely new first Opel model produced immediately after the Second World War was the Olympia Rekord. This model is a symbol of the new era with its chrome-plated shark front face and ponton-style body. He took the design language from the great American limousines, which was in full agreement with the economic miracle that was about to come to life. Those who succeeded in time wanted to succeed again. A new genre body type with the Olympia Rekord Caravan, suitable for the lifestyle of large families, also appeared during this period. In 1954, completely new Kapitans appeared on the show, followed by Opel Rekord P2 in 1960, and disc brakes in 1963, followed by Rekord A with a 6-cylinder engine. The coupé, the station or the sedan doesn't matter, the mid-size Rekord young was much loved by the new middle class of West Germany. By 1965 Opel had produced a total of 882 thousand 433 units of Rekord A. This success opened the door for the ler big three Dipl and in 1964 Kapitän, Admiral and Diplomat (KAD) took their place in the luxury class. Particularly the second generation of KAD models offered extraordinary driving comfort thanks to the legendary de Dion rear axles. In 1968 Opel started offering the steering column for the Rekord C model. Continuous innovation was needed to tackle the challenges of increased traffic. In June 1964, Opel became the first European manufacturer to open a modern design studio. Just one year later, he introduced his first concept car, the Experimental GT, at the Frankfurt Motor Show. After 36 months, the Opel GT, which started mass production, took its place in the dealership and was born a sports car legend. The iconic car was accessible to everyone thanks to its mass production technologies, and a new hit came out of Rüsselsheim. The company also implemented similar strategies for the following years. In 1970, Manta shared his technologies with Ascona when it was marketed, and in 1989 Calibra was borrowing some of its technologies from Vectra. The top-of-the-line model was the world's aerodynamic champion with a bump coefficient of 0.26, and the Calibra Turbo 4x4 had the driving performance of two times more expensive sports cars with 204 hp. Since 1999, Zafira has set standards in the compact MPV segment as well as the small car segment of the Corsa. In a single move, the third row of seats hidden in the luggage compartment was an ingenious one. Users with competing models needed to unload heavy seats one by one when they needed more luggage space. The 4,32-meter Zafira can easily accommodate seven people. The MPV model can also be folded into the transporter in seconds by doubling the second row of seats. In this way, it can have a load area of ​​1,15 to 1,56 and a load capacity of 1,700 liters. The Zafira model is able to make these conversions quickly with the Flex7 Plus seat system. Another Opel model introduced at the 2009 Geneva Motor Show was followed by Corsa and Zafira to identify trends. This model was Ampera redefining electric transport. In 2012, this model was chosen as the car of the year, while working with electricity, charging itself with the internal combustion engine. Thus, Ampera did not have to stop at a charging station similar to a conventional passenger car. At the 2016 Paris Motor Show, Opel introduced its next generation electric car. The Ampera-e is a fully electric model and has a full 520 km range thanks to its 60 kWh lithium-ion battery. Moreover, the 204 hp electric motor offers an acceleration capability such as sports cars. The next electric model from Rüsselsheim is next year. In 2015, Opel models were further lightened with the new generation Astra. The next generation compact model is 200 kg compared to the previous generation. lighter. The offered engine options are also shaped according to the reduction strategy: smaller size and turbocharged engines with less fuel consumption and higher efficiency. The 3-cylinder direct-injection gasoline option and the revolutionary IntelliLux LED® matrix headlights came with Astra for the first time. This innovative system in its class turns the night into the day without taking the eye of the other drivers on the road. The selection of this model as etkil Automobile of the Year 2016 in Europe “proves that it has succeeded in influencing the car experts as well as customers. In 2008, the Insignia A was the first Opel to recognize the traffic signs, which came with an intelligent AFL + headlight system. Similar to the Astra, the second generation of Opel's flagship has been designed for efficiency. The new generation Insignia is lighter, more economical but also bigger. One of the highlights of the Insignia GSi, Country Tourer, Grand Sport and Sports Tourer is the adaptive all-wheel drive with torque vectoring. This system can adjust the torque transferred to each rear wheel in the raft. The Opel Insignia is the first to offer this technology in addition to its own premium brands. In the automotive industry these days the word SUV is very popular. Customers have to sit a little higher and enjoy long-distance and adventure driving with better visibility. Opel noticed this trend at the beginning and presented a special model in the B segment. Mokka, with the option of four-wheel drive from the first moment has attracted great interest. In 2017, Crossland X and Grandland X arrived. All X family members have AGR certified seats. Ergonomic and comfortable seats have long been part of the Opel DNA, and 120 years ago at the Opel PatentMotorwagen parç System Lutzmann Opel, offering leather back support.